Lamborghini has pulled the wraps off its latest racing car, the Huracán Super Trofeo Evo. 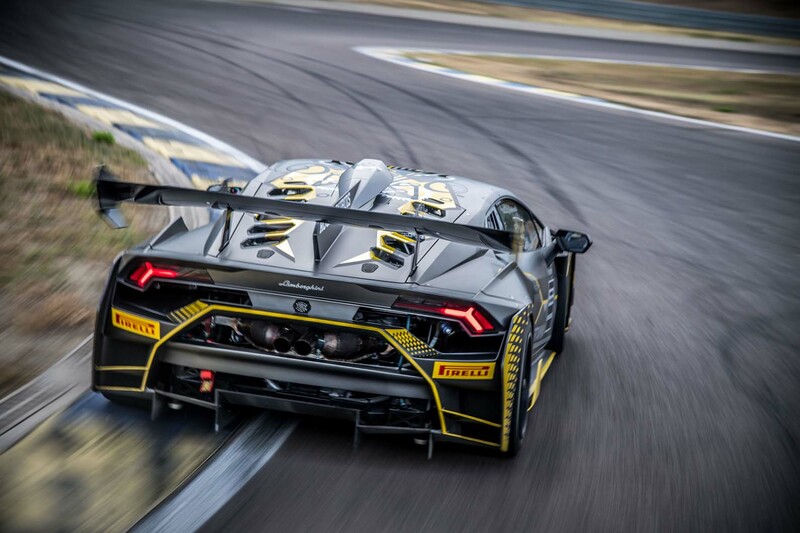 An evolved version of the Huracán LP 620-2 Super Trofeo, which was revealed three years ago, the Evo will be the car used in Lamborghini’s one-make racing series and will be eligible for entry into global GT series. The biggest changes to the new car come with its updated aerodynamic package. Downforce remains the same as the previous car, but drag is reduced by 8%, boosting overall performance and ensuring that the 2018 racer will set faster lap times. A new central fin has been added to the engine cover in order to clean up airflow over the rear. It is joined by a new intake that sits on the car’s roof. The all carbonfibre body has changed so much that only the flat floor, front splitter and rear diffuser are the same. No mechanical changes have been made to the car’s engine, which is a naturally aspirated 5.2-litre V10, as used by the Huracán road car. It does, however, have a new exhaust system. In the Evo, 612bhp is sent to the rear wheels through an X-Track six-speed sequential gearbox. Overall, the new improvements have enabled the Evo to lap Monza in 1min 46.3sec, an improvement of 1.5sec over the old car. Lamborghini is selling its Huracán Super Trofeo Evo in ready-to-race form for €235,000 (excluding taxes), which equates to about £250,000 when UK VAT is added. Mt goodness I hope everyone isn't going to start copying the hideous F1 fin thing. I understood F1 was trying to get rid of them on aesthetic grounds?